I recently spent a few days in London and I thought I'd take you along. I absolutely love London! It is probably my favourite city. Every time I visit I try to see new things and new places. I recently spent a few days in London and I thought I'd take you along. I absolutely love London! It is probably my favourite city. Every time I visit I try to see new things and new places. 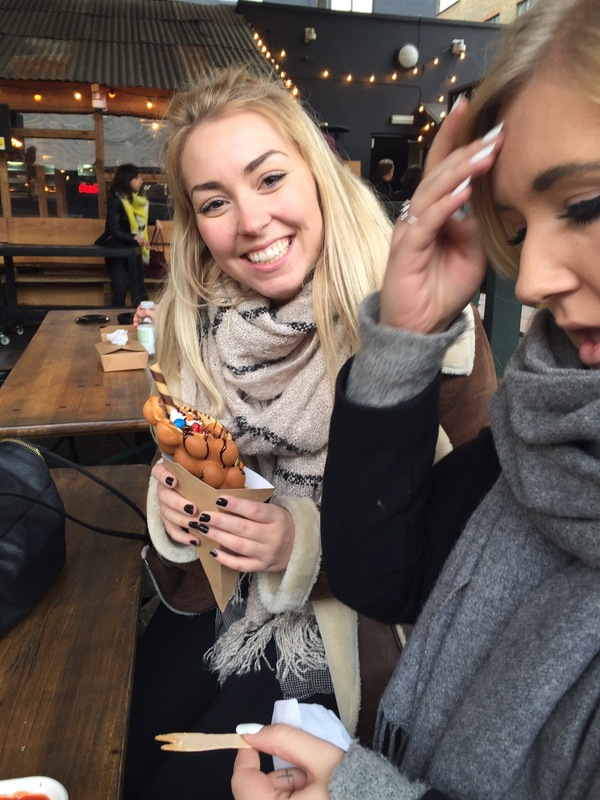 This time we spent a day in Shoreditch, which was really cool. We spent the day looking at street art and checking out cute little independent shops. 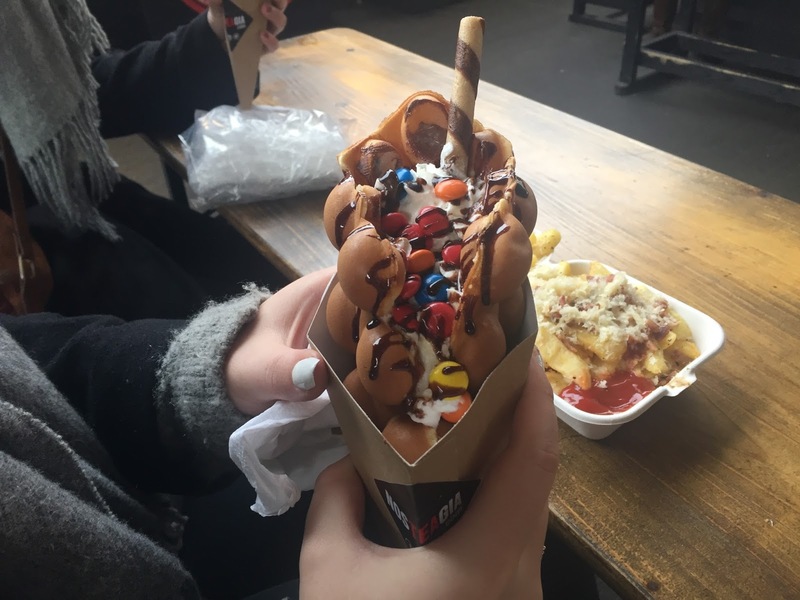 We found this little street food area, where we got bubble waffles. It was so delicious! Mine was filled with M&Ms, whipped cream and chocolate sauce. If you happen to walk by this place I would definitely recommend you try it! We ended the day with dinner at Pizza Express. 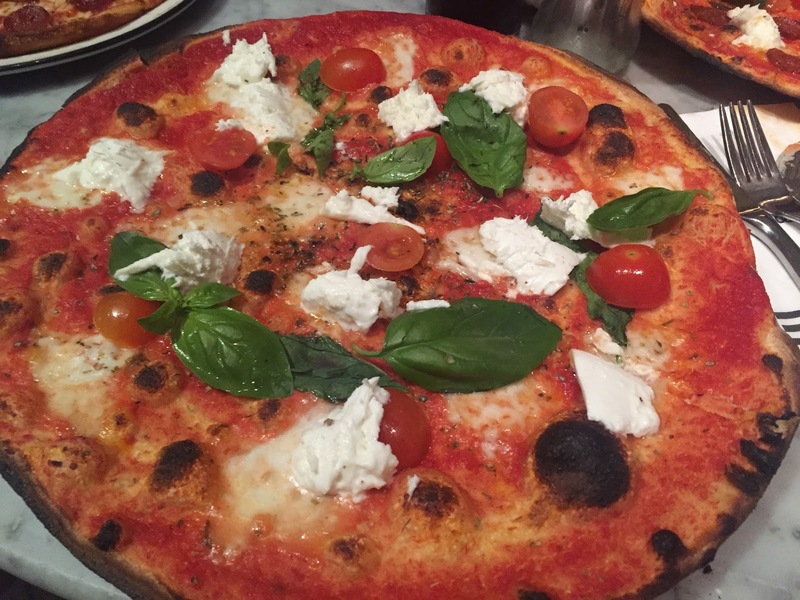 We shared a starter of their dough balls followed by one of their huge margarita pizzas. The perfect outfit for a day of exploring. Thanks for sharing. Beautiful outfit, your jacket is amazing! The food looks great too!